If you’d like to download a YouTube video then there are plenty of options available, from web services like KeepVid to dedicated tools like Free YouTube Download. Capturing streaming videos from other sites can be a challenge, though, as their URLs are often concealed by scripts and similar tricks. 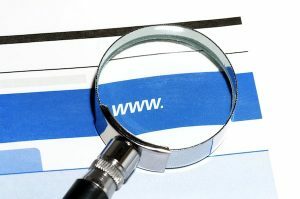 Examining the page source will sometimes give you clues, but URL Snooper could be a simpler option: the program just watches your internet activity, and displays a list of any streaming URLs it finds. Getting started with URL Snooper is surprisingly easy. It’s a small (3MB) download, and portable, so there’s no installation required. And while the program uses WinPcap to capture your network traffic, there’s no need to install that, either -- simply launch the program and you’re ready to go. URL Snooper will first present a very simple interface, just an empty table. But to see it in action, open a site which streams video (not YouTube, it’s not compatible), play a clip, and any URLs detected by the program will be displayed right away. Does it work? Our results were a little mixed. We had no luck with Facebook, for instance, but the program detected rtmp:// URLs at Metacafe, and found addresses from simpler sites -- Apple Trailers, say -- without any problems at all. If you’re not successful immediately, though, URL Snooper does have some extra options which can help. Click File > Advanced and you’re able to filter detected URLs by protocol or keyword, for instance. And in particular, if you select "Show All" in the Protocol Filter box then the program displays every URL it’s detected, whether it’s related to streaming media or not (images, icons, ad servers -- it even detected and displayed the URL of our antivirus tool’s streaming update file). This makes URL Snooper useful in many more situations, so we’d recommend you keep a copy to hand, just in case you ever need a better understanding of how your internet connection is being used.